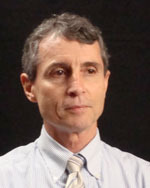 Mike Arnhold was named executive editor at the Fayetteville Observer in 2009. He joined The Fayetteville Times in 1978, working as a copy editor, copy desk chief and features and was named managing editor when the Times and Observer were merged. Arnholt came to Fayetteville in 1974 as a soldier reassigned from South Korea to Fort Bragg, where he served with a public information detachment in the 1st Corps Support Command. After reading correspondence from the parents of American soldiers whose stories were told in The Observer, Mike Arnholt knew his newspaper was fulfilling its mission. The newspaper had filled a vacuum in the parents’ lives.